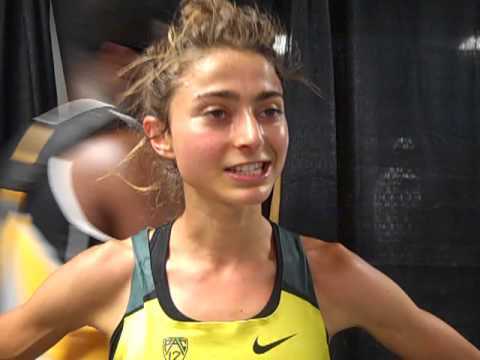 – Alexi Pappas blogging about her meeting with President Obama and how her conversation with him made her analyze the hard work vs. talent debate. Nick Symmonds to make 3000m Indoor Debut - How fast will he go? Ever done a run IN your house? 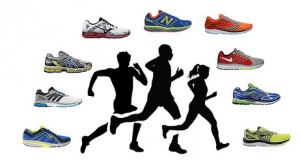 What "community" is worse: Cyclists or Runners? Pablo Solares runs 3:56.86 at Armory in race where 2nd place was 4:20!! 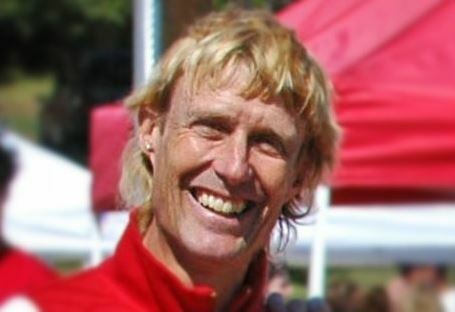 Chris Derrick talks big: "I think I can run with anyone in the world." My roommates keep the thermostat at 60. I prefer it 65-68. What to do? “Ben Johnson” Steroid Still Responsible For More Doping Cases Than Any Other In 2014 26 years after Johnson tested positive for stanozolol at the Seoul Olympics, that drug is still responsible for the most yearly drug busts. 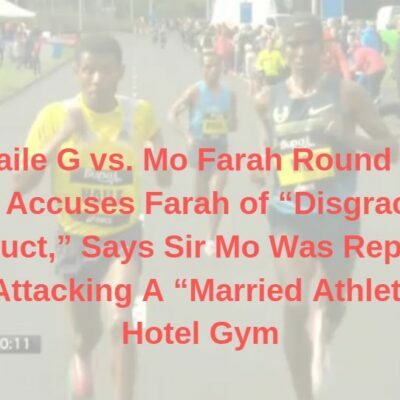 A “Very Productive” Discipline Hearing With Rita Jeptoo Was Held Thursday In Kenya, Committee Will Meet Again In Two Weeks They got a lot of useful info they need to spend some time looking at. Set Your DVRs: Two Armory Meets – Armory Track Invitational And Millrose Games – Will Be Broadcast On NBCSN As 2 Of 4 Meets Of USATF Championship Series The dates are Jan. 31 and Feb. 14. Powerful Long Island And So Cal USATF Associations Call On USATF To Change Its Decision To Nominate Stephanie Hightower, Not Bob Hersh The Athletes Advisory Committee is also upset. LRC Four Thoughts On The 2015 Women’s Race Which Features The “Fantastic Four” From Kenya Nothing in our beloved sport can equal the 2015 men’s London field but the women’s equal is pretty special with 3 former champs in Mary Keitany (2:18:37), Edna Kiplagat (2:19:50 PR), and Priscah Jeptoo (2:20:14 PR) plus the fastest half runner in history – Florence Kiplagat. We break it down for you. *Paula Radcliffe is running, but will announce on January 30th is she’s in elite race or not Amazingly, Radcliffe hasn’t raced London since 2005. 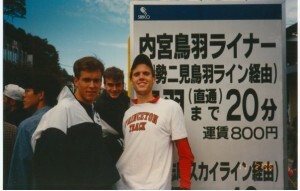 *LRC Archives From Last Week: Is The Men’s Field The Greatest Ever? Good Q&A With Lauren Fleshman, Who Says She Wants To Run 14:50s For 5,000 In 2016 Her PR is 14:58 from 2008. This year she just wants to try to get the World standard of 15:20. Recommended Read: Alexi Pappas Blogs About Meeting President Obama And Her Discussion With Him On The Hard Work Vs. Talent Debate The President was on the side of talent and the meeting forced her to analyze how much of her success comes from hard work vs. talent. RRW: Kim Conley Goes Long To Open 2015 Season In Houston Conley has been implementing more mileage and longer workouts in preparation for the Houston Half. Last year during the winter she focused on speed, but this year it’s strength. 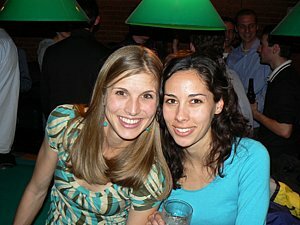 This Is Why Results Of RNR Races Are Often Irrelevant: Amy Hastings Approaching PF Chang Rock ‘N’ Roll Arizona Half Like A Tempo Workout She wants to run around marathon pace and said specifically she’ll hold back from going “to the well” in this “race” as her focus is on the Boston Marathon. 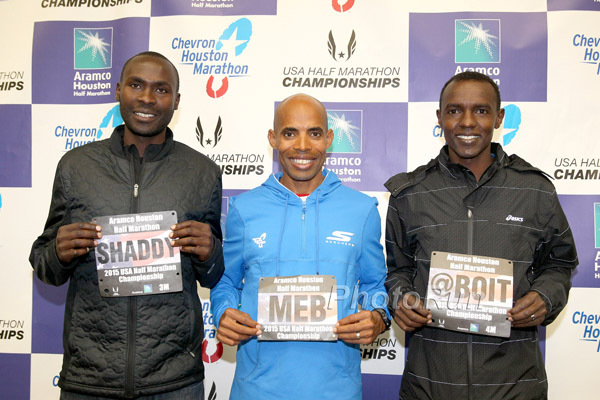 LRC 2015 USA Half Marathon Championships Preview: Can 39-Year-Old Meb 3-Peat? 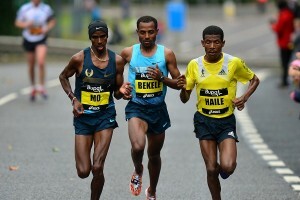 Meb Keflezighi goes for the three-peat against Josphat Boit, Shadrack Biwott, Diego Estrada and Girma Mecheso. In the women’s race, marathon specialists Annie Bersagel and Lauren Kleppin will attempt to hold off U.S. 10,000 champ Kim Conley. Sara Hall and 2012 Olympian Janet Bawcom are also in the field. 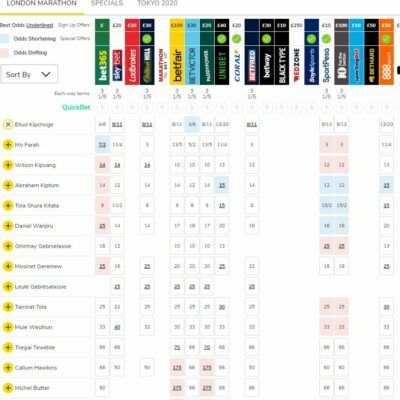 Ticket Prices Are Less Than London Tickets for track and field are still pricey and range between $132 (£87) and $455 (£300). After Winning Edinburgh XC, Garrett Heath Now Getting Ready For World XC The Minnesota native, who recently went skiing without a shirt on, is hoping for cold weather in Guiyang, China – a city the Stanford grad had to look up on a map. Like Paula Radcliffe, Christelle Daunay Is Also Racing London – But In The Best Form Of Her Life She set a Euro championship record of 2:25:14 last summer. 95% Of Chinese Support Beijing’s 2022 Winter Olympics Bid Meanwhile, the rest of the world doesn’t want to pay for the stadiums (unless it’s a beloved NFL team). Famed Writer Frank Deford Doesn’t Want Olympics In Boston: Where Is Paul Revere When We Need Him? IAAF Hyping Turkey’s Kenyan-Born Polat Arikan As Europe’s Best Bet To Stop African Dominance At World XC A better bet would be to get Galen Rupp to do the event. 12:53/2:06 Man Mark Kiptoo Is Pumped For This Weekend’s Kenya Defence Forces Cross-Country Race Hellen Obiri is out with an injury. 2008 Olympic Champ Wilfred Bungei Says Current Drug Cheats Are Causing Him Problems In Retirement People ask him if he doped. Sunday: Deep Fields Set For Santiponce, Spain XC Meet: World XC Bronze Medallist Teklemariam Medhin Vs. Timothy Toroitich, World 10,000 Bronze Medalist Paul Tanui And World Jr. 10,000 Champ Joshua Cheptegei Also 26:52 man Bedan Karoki and Euro XC champ Polat Kemboi Arikan. Women’s race has World 5,000 silver medalist Mercy Cherono, 2-time World XC champ Emily Chebet and former World 10,000 champ Linet Masai. 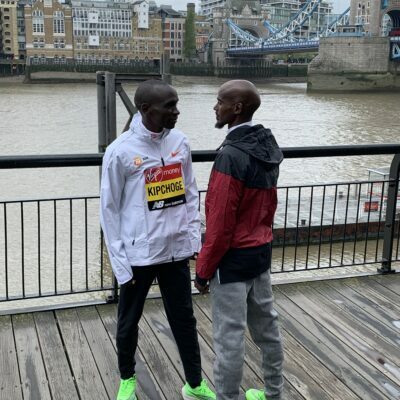 Feb. 1: Japanese World Champs 5th Placer Kentaro Nakamoto (2:08:35) Will Take On Defending Champ Abraham Kiplimo (2:09:23) At February 1st’s Beppu-Oita Marathon Also in the field: Yoshinori Oda (JPN) 2:09:03 and Fekadu Lemma (ETH) 2:09:50. RR #2: 50 Years Ago Today (Jan. 16), Ron Clarke Set A 5k WR Of 13:34 To Kick Off A Magical Year In Distance Running Every world record from 1k to 1 hour was smashed on the men’s side in 1965. More Good Stuff: Alan Abrahamson Breaks Down The 2024 Boston Bid Like Only He Can He said it was obvious Boston was the choice when Thomas Bach came out with an Op-Ed in the Boston Globe two days before. Also was Boston selected because it’s on the East Coast? Genzebe Dibaba To Chase World Indoor 5,000m Record In Stockholm On Feb. 19th The indoor record is 14:24.37. 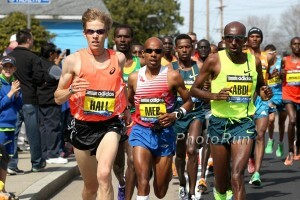 *MB: Genzebe Targets 5K Indoor WR Will she flame out again outdoors? Jeremy Wariner May Open 2015 With 800m Run If he does, thousands of LetsRun.com fans will get the answer to the ultimate hypothetical they’ve been debating for years. 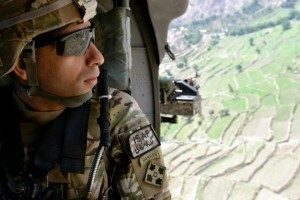 *MB: At last our dreams will become reality: Jeremy Wariner may open 2015 up at 800m!!! How fast (slow) will he go? How fast will Jeremy Wariner open at 800? Meet High School Frosh Pole Vault Phenom Armand Duplantis, Who Went 16’1″ Last Week At Age 15 At age 10, he was already doing 12’8″.